Clearwater FL – SolidWorks World 2014 is happening right now through January 29 at the San Diego Convention Center in San Diego, California. This is where they showcase the latest SolidWorks technologies for innovators, designers and manufacturers that come from all around the world. This year Gold Partner CAM provider BobCAD-CAM is there to showcase their latest in integrated CAM for SolidWorks users that need CAM solutions that are fully integrated inside of their latest versions of the SolidWorks product. 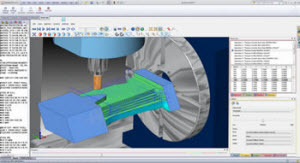 CAM machining technology includes the addition of a CAM Job Tree inside of SolidWorks to access machining strategies for the creation of roughing and finishing toolpath, NC programming code and simulation for CNC machining. Machining wizards are included for all toolpath strategies that remove the programming guesswork by walking the user through the CAM process of selecting tools, toolpath options, strategies, lead-ins and outs and much more. 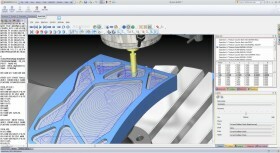 The BobCAM for SolidWorks CAM plug-in is a Gold Partner product. Again, stop by the BobCAD-CAM booth #406 and get a live demo of how SolidWorks CAM is improving the way we design and manufacture in 2014 and beyond.